Last week I got up bright (after a bullet proof coffee) and early and made my way to West Bridgford for the 7am class of Hot Pod Yoga. 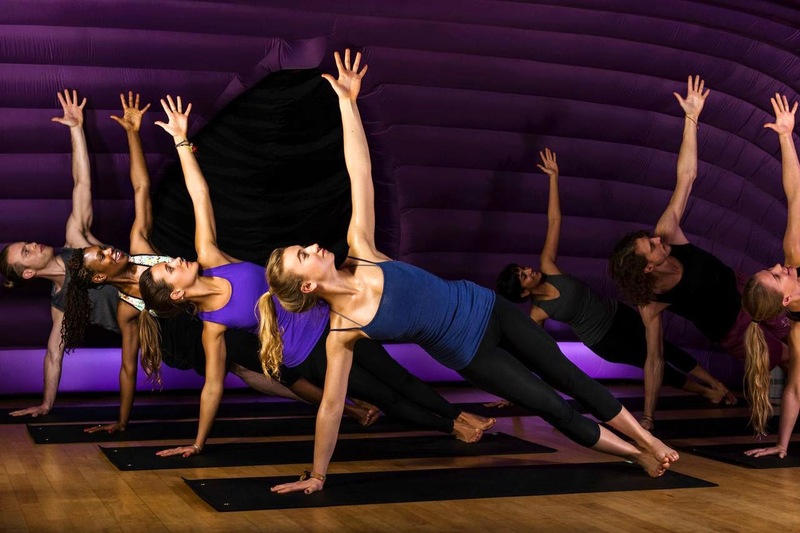 It's something i'd be dyyying to try since I made the ode to my body this year to stretch regularly and since starting work with Sweaty Betty Notts I really had no excuse experience the phenomenon and put faces to the names of yogi experts Sarah Harrison @HotPodYogaNotts (Owner) and Sarah Bailey @SarahEBailey (Teacher). We (yes, I persuaded the BF to also attend, he thanked me for it after) were greeted with smiles and hello's and headed into the inflatable pod to acclimatise to the 37 degree heat. The lighting was dim and the subtle aroma was calming. The style of yoga Hot Pod teach is Vinyasa. All about synchronising a dynamic series of postures with your breathing. The heat warms the muscles and aids flexibility whilst making it a super intense and effective workout. I found the class was brilliantly tailored from beginner level to experienced to cater for the diversity within the group. I worked hard to keep up and concentrate on maintaining strength and alignment but found the experience incredibly relaxing and refreshing. When I left I felt drowsy and utterly relaxed. I suspect this is precisely why Yoga becomes so addictive to so many people. I had completely underestimated the core strength and stamina needed for an hour of practice in 37 degrees. There has been a shift in my mind and a new respect in understanding gym weights strength and yoga strength are wildly different. I previously saw yoga as a means of increasing flexibility and specifically in the heat - being a great recovery session from something of higher intensity. 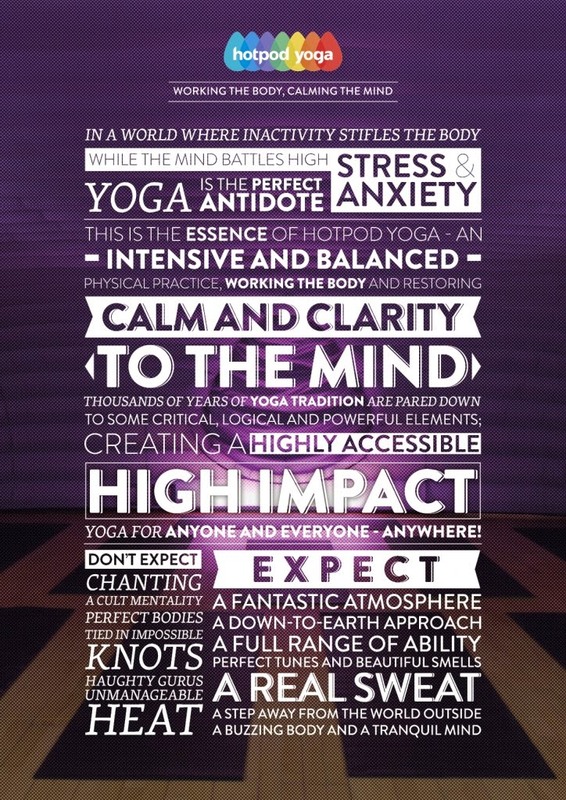 I've seen from Hot Pod how in reality it's much more fast paced and offers something more superior than just "a good workout" - it gives a genuine feeling of calm, clarity and purpose.